You could say that Charles Arthur Shires was never lacking in self-esteem. 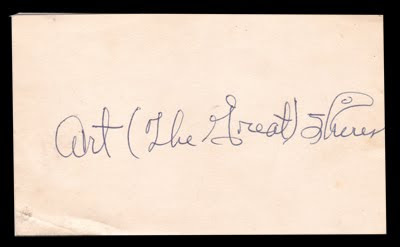 When your traveling trunk is emblazoned with the sobriquet 'Art "THE GREAT" Shires', it is a good bet that you exude confidence. Art brought his traveling side show to Brew Town and the American Association in 1931. In 1966 while working a summertime job, Bob Buege, author of "The Milwaukee Braves, A Baseball Eulogy," was told this story from an older coworker (60 ish) Leonard Szydlowski. He was a good story teller and a big baseball fan. When he came up to bat, he let the first pitch go. The umpire yelled "ball one!" Charles Arthur Shires was born August 13, 1907 in Italy, Texas. He broke onto the baseball scene in 1926 at the age of 18, playing for the Waco Cubs of the Texas League (A) from 1926-1928. He was an imposing figure at 6' 1" and 195 lbs. Art hit very well while there, his batting average was .301 over the 3 years in Waco. This young ball player also was a superb fielder, averaging in the .990's. He joined the Chicago White Sox late in the 1928 season and had quite a stunning major league debut. When Art came to bat in his first big league game, he hit a triple and 3 singles off of pitching great Red Ruffing. "So this is the great American League I heard so much about." "You can start calling me "the Great", I'll hit .400." He didn't quite make it there, but he did hit .341 that first season and was subsequently named the White Sox team captain for 1929. Baseball always has had players with large egos, but Shires quickly took this confidence above and beyond anything ever seen before. He wore a "green ensemble, spats, muffler, handkerchief in his suit breast pocket and a topcoat...and it was 85 degrees in the shade!" "Some are born great, some choose greatness and some have greatness thrust upon them. Well, I was born great!" Cocky and Brash, this roaring 20's rock star, boasted a wardrobe of over 50 suits, 100 hats, 40 pairs of spats, a half a dozen tuxes, and enough casual clothes for every occasion. He most certainly would have been on the cover of GQ magazine had it been published back then. But lacking maturity and possessing that swelled ego, this youngster had problems balancing the bluster with all of his talent. 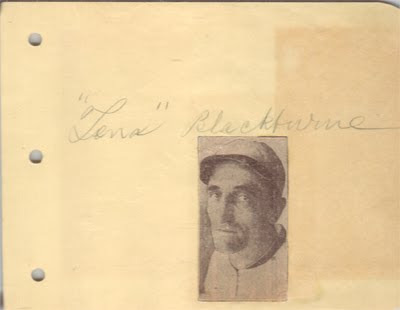 Hard drinking and insolence led to arguments and fistfights, 2 of which involved his manager Lena Blackburne (a former Milwaukee Brewers in 1912 and 1913). Always the clown, one day during batting practice, he insisted on wearing a red felt cap, refusing to take it off, much to the ire of his manager. He also became quite vocal about what was wrong with his team, which caused much dissension. His team captaincy didn't last long. Neither did his tenure in Chicago. When not suspended and actually playing baseball, he did quite well for the White Sox. The White Sox shipped him to Washington on June 16, 1930 for pitcher Garland Braxton and catcher Bennie Tate. He played very well for the Washington Senators, hitting .369 for the remainder of the season and posting a fielding avg. of .989. Unfortunately his troubles followed him there and he soon wore out his welcome, with accusations that he was slacking off. Buoyed by his assumed pugilistic ability during the Blackburne bouts, the Great One decided to step into the ring and try out a boxing career. 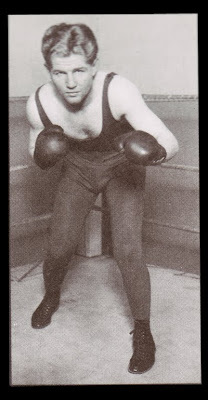 His first bout was December 10, 1929 when he took on "Dangerous" Dan Daly of Cleveland at the White City arena in Chicago. Shires pranced around in his raspberry and deep purple robe emblazoned with "Art The Great Shires" in large letters on the back, his handler's clothing declared the same message. In spite of this pre-fight flourish, the actual fight itself was considered comical as neither fighter showed much finesse, slugging it out toe to toe in the center of the ring. It was over in less than 30 seconds; Shires scoring a knock out victory over Daly. A fight was proposed between Shires and his cross town baseball rival, Chicago Cubs star Hack Wilson (The Dempsey of the Dugouts). Wilson was willing, but Cubs officials nixed it and it never went past the talking stage. 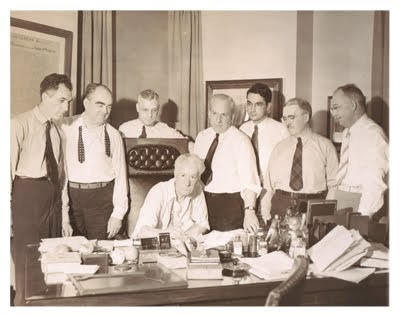 Concerned about fight fixing accusations, Baseball Commissioner Kenesaw Mountain Landis stepped in and declared that baseball and boxing didn't mix, adding that Shires needed to decide what he wanted to do for a career. Landis used the opportunity to declare that any player who participated in "professional boxing will be regarded by his office as having permanently retired from baseball." Shires chose baseball. His boxing career now over, his record ended up at 5 wins and 2 defeats. In what was called the most important and popular transaction ever made by the Milwaukee Brewers to date, Art Shires, "the now retired heavyweight champion of baseball",was purchased by the Milwaukee Brewers from Clark Griffith's Washington Senators for $10,000 in late November 1930. Considered the most picturesque figure in baseball at the time, (and the best dressed) with his garrulous nature and feisty demeanor, the Home Brews were looking forward to teaming him up with their other resident clown, Walter "Cuckoo" Christensen. Shires was expected to pack in the crowds with those who loved him and yes, those ready to give him what for. 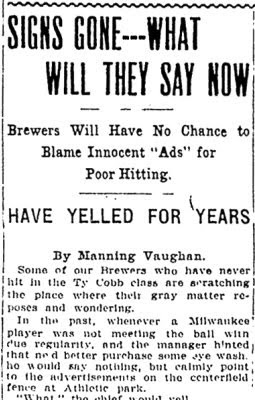 Love him or hate him, Louis Nahin, vice president of the Milwaukee Brewers, expected him to be a great draw for the fans. 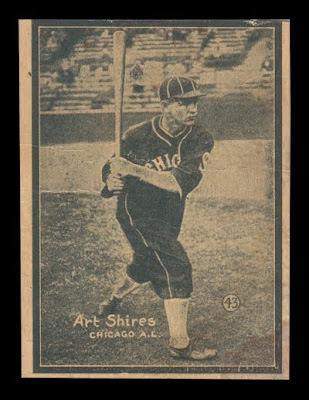 Shires was no stranger to Borchert field, as he played on the American League all star team when they put on an exhibition game there during the 1929 season. His running self laudatory comments with the fans endeared him with many but also had others wanting a piece of him. Both extremes guaranteed a spinning turnstile at the Orchard which was just what the ownership wanted. By the time the Milwaukee Brewers arrived at spring training in Hot Springs, Arkansas, the press couldn't get enough of the him. His arriving a bit late didn't seem to matter to them or the fans, it only heightened the anticipation. As expected, the two comedians of the Brewer baseball team got a lot of face time in front of the cameras. (Christensen and Shires) In his first preseason game against the Millers, Shires rapped out a double to the cheers of the crowd. Back in Milwaukee, the newspapers were full of pictures and stories of their new found phenom. When the season opened, What-a-man! What-a-man! was the headline as he showed early on that he could hit the ball. His timely hitting was driving in runs and more importantly, winning games. In what Shires called a "fair" day at the plate against Indianapolis, the "Great One" had just 3 hits. 2 singles and a double coupled with a pair of walks. In the first 8 games of the season, he had been responsible for 10 runs, 3 of them in extra innings. On opening day in Columbus, Art gave the opposing fans a sample of his ability by driving in 3 runs. Even the newspaper box score was titled Whataman. To those detractors in Washington who claimed that he let himself go and wasn't playing hard enough, he showed none of that in Milwaukee. Injuring his ankle, he refused to quit. 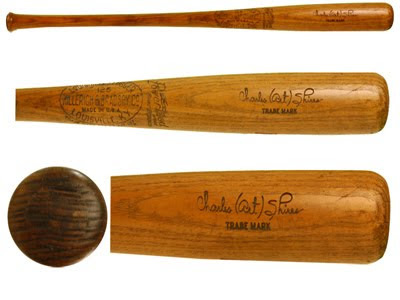 Charles Arthur Shires was showing everyone his "Big Bat as well as his Big Head." Clearly in Milwaukee, Shires was making more noise with his play on the field, than with his mouth. He was all business once the game started. "What a Cud" Shires, "the American Tobacco company's best customer" judging from his huge jaw filled chaw, was making quite the impression. In a high scoring slugfest at Borchert field on Thursday May 14th, Shires went 5 for 5 in a victory against Louisville. Milwaukee and Shires were proving to be a good fit. Art acknowledged that he loved Milwaukee and its fans, but he was having trouble hitting in Borchert field. The background made it hard to pick up the ball coming to the plate. He said by the time he got comfortable with seeing and hitting the ball well, it was time to hit the road and play in another ball park. Shires was maturing as a ball player and was considered "unanimously" by his fellow players to be their most consistent "clubber." By May 30th, "Whatahitter" Shires took the lead in the American Association batting race, including leading the league in total bases. People were beginning to notice him outside of Milwaukee too. Opposing teams feared the man's ability as a competitor, not his mouth. Talks of his return to the "bigs" began to hit the newspapers, sincere interest mixed with rumors of who wanted him. The New York sports writers said several teams were bidding for the great one. The Boston Braves, Philadelphia Athletics and Cincinnati Reds of the National League were mentioned in the stories. Speculation was that his value as a player had grown to $100,000. 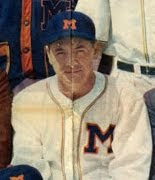 Veteran Milwaukee baseball observers said that "Shires is one of the best players that ever appeared in that circuit. A born showman, a colorful lad, he plays the game like a champion and keeps the linotype machines humming. He is the best drawing card in the league and would be worth $100,000 for some of the big league teams which are drab." Predictions were that he would surely be back in the big leagues next season. It appeared that both the Chicago White Sox and Washington Senators made a mistake by letting him go. Even the Chicago Cubs were rumored to have scouts watching the "Star Slugger" for Mr. Wrigley. By the end of July, "Whatabatter" Shires was leading the league in runs batted in with 94. The Chicago Cubs contingent that did show up in the Borchert audience was none other than the top brass of the team, President William Veeck, manager Rogers Hornsby, scout Jack Boyle and coach O'Leary. But rumors of his going on to Chicago were "premature" according to Veeck. Art concentrated on his play and seemed more concerned about his slumping average, which he blamed on his breaking of all his favorite bats. He assured everyone that was temporary, as he had just put in a late season order for more Louisville lumber and hoped to have more of his favorite war clubs in hand soon. His so-called slump didn't last long. Unfazed by all the attention, "King Arthur" had his 105th RBI on August 11th, the box score declaring "Art IS Great," as his 9th inning 3 run homer won the game against Louisville. While Milwaukee struggled to keep their heads above the .500 mark, Shires kept up his torrid pace, hitting .387 in late August and nearing the 200 hit mark. Another rumor of Shires being picked up by World Series hopefuls, the Philadelphia Athletics came and went, being denied by the Brews President Louis Nahin. A couple of innings later he went "a mile in the air (more or less) to flag a burning smash with a glove hand catch from Denver Grigsby's bat that brought loud huzzas from the customers." The next inning he followed it up with a diving tag on a bunt laid down by Kansas City pitcher Thomas. Shires continued to play hard in spite of his team's mediocrity. With 6 games left to play, Art was injured in a collision with a teammate while chasing a foul ball. Rather than risk damage to the leg, he was benched by Manager O'Rourke. 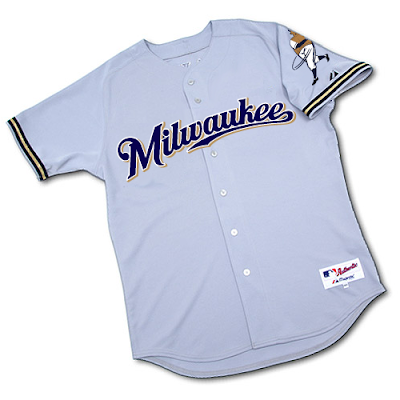 The 1931 Milwaukee Brewers couldn't get itself free of the .500 mark and finished the season with a disappointing record of 83-85 in 5th place. No one could keep up with the Saint Paul Saints who finished at the top of the American Association with a 104-63 record. While the season was disappointing, Art Shires was anything but. 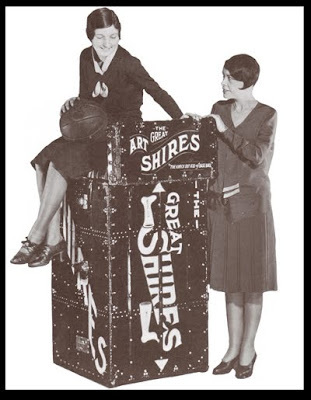 The Great Shires entertained as well as shined as a ball player. He was totally focused on doing his job and didn't let himself get side tracked in 1931. He won the American Association batting crown with a.385 batting average with 623 at bats in 157 games. He pounded out a whopping 240 hits, 45 of them doubles, 8 triples and 11 round trippers. He drove in 131 RBI's, had a .536 slugging percentage with 334 total bases. He fielded his position well with a .988 percentage. Art returned to the big leagues in 1932 joining the Boston Braves. It would be his last year in the majors as injuries took their toll on him. He continued on for a few years in the minors but would be out of baseball after the 1935 season. 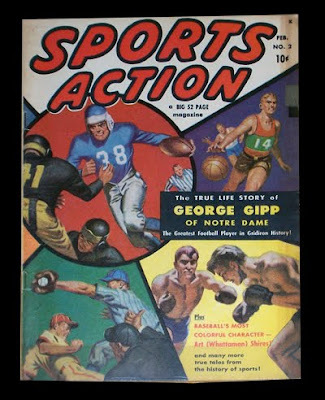 Art, had the rare honor of having his story told in comic book form in this rare 1st issue of Sports Action comics. 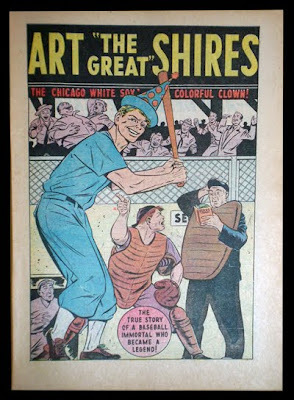 The Art Shires comic book story has that wonderful child prodigy opening we are used to seeing when it comes to our baseball heroes. As with other stories from this time period, it has him hitting the baseball great distances which seemed like miles, through windows with the typical disbelieving adult recipients of said damage, later championing his cause. 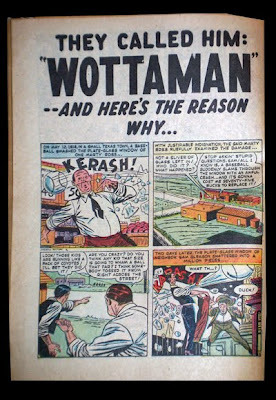 This comic does however, pose a fairly accurate depiction of his rise to fame...and his fade from it. 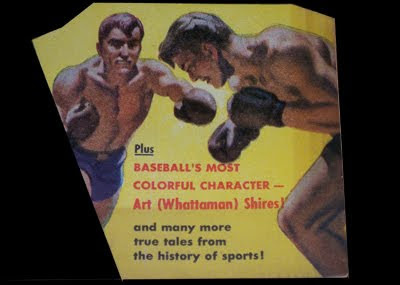 "AND SO THE FINAL CURTAIN CAME DOWN NOT ONLY UPON THE COLORFUL SPORTING CAREER OF ART SHIRES, BUT ON THE MAN HIMSELF! THE MAN DESTINY HAD CHOSEN TO BECOME ONE OF SPORTSDOM'S GREATS WAS SOON FORGOTTEN...AND SO, THE ONCE GREAT ART SHIRES, ABOUT WHOM FAME AND LEGEND HAD SPRUNG, NOW DISAPPEARED INTO OBLIVION AND WAS LOST IN THE CROWD OF ANONYMITY..."
Milwaukee was indeed fortunate to see the Great One at his apex. Charles Arthur Shires lived up to the team's, the fan's, and more importantly, his own expectations as a player that year. He became the 6th Brewer player to win the American Association batting championship in 1931, something Milwaukee did better than any other team in the American Association (in their 51 year history, Milwaukee had 13 batting champions). 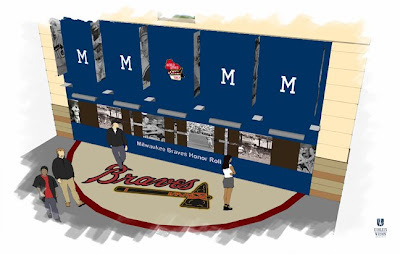 The Brewers also will be redoing the Milwaukee Braves Wall of Honor, located on the third-base side of the Field Level concourse. The area will be upgraded with new plaques, artwork, lighting and photo banners. I think it's outstanding that the Brewers continue to acknowledge the city's rich baseball past. Now if we can just get them to keep looking backwards through that past, beyond 1953. If this blog accomplishes nothing else, I'd like it to raise awareness of the Braves' predecessors. So if the revamped Milwaukee Braves Wall of Honor is Miller Park's new addition for 2010, perhaps I could make a small suggestion for 2011? It is also available in replica and personalized replica versions. Well done, Mr. Attanasio & Company. Now we just need to get the Beer Barrel Man patch on the sleeves. Bill Veeck's "Good Luck Charm"
Penny Peck and her daddy, Hal, look over the gifts which the Brewer outfielder received on Peck night at Borchert field Wednesday. Penny, 2, is about to have a baby brother or sister, so a high chair, a bath and other things for a brand new baby were among the gifts. The night was sponsored by the Land o'Lakes league, from which Hal came. 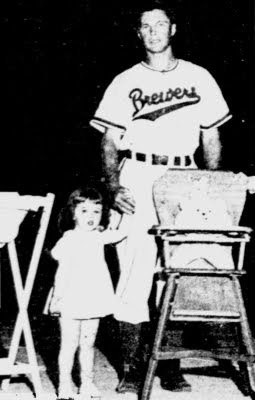 In addition to the baby gifts, Peck also received $330 in war bonds from the Brewers and "the four communities where he lived or played ball – Big Bend, Genesee, Mukwonago and Waukesha." These sorts of events were part and parcel of the Borchert Field experience - the year before, Bill Veeck had thrown a pregame birthday party for manager Charlie Grimm. He was also given "a German Boxer dog, which will take care of the rats on his Genesee premises so he won't be shooting off any more of his toes hunting the rodents." This is Hal Peck's year, Manager Charley Grimm of the Milwaukee Brewers insists. Ted Gullic, veteran outfielder who has helped school the Genesee Depot product, says it is Peck's year, too. On top of these opinions, Peck also thinks 1942 is his year. The way the young player fields his position, the way he throws, his speed and his hitting, all indicate that he will be a star. The picture shows his swing. Peck delivered with a .333 average in the first three months of 1942. Although he had some weakness in the field, he was a powerhouse at the plate. Brewer owner Bill Veeck, who had been very successful in developing up-and-comers which he could sell to Major League clubs, knew he had something special. He fielded offers from half a dozen clubs for Peck, the best being $40,000 from the Chicago White Sox. As the American Association season was winding down, the contract was drawn up, and Hal looked bound for the South Side. "Were you surprised about your sale to the Dodgers?" Peck was asked. "Somewhat, I guess," answered Hal. "I'd just as soon stay with the Brewers. I like Milwaukee and I like the fans." "You've got a chance, dear, to play in the big leagues," remarked Mrs. Peck. "Yes, you're right. Besides, I've always been a National League fan anyway," said Hal, rubbing his bare left foot, which is bandaged around the toes. "Just think, the hunting season opened Saturday. I looked forward to that date. I've hunted so many years; so has my wife. We had figured on making a hunting trip this fall, but I had to meet with this accident. I guess I won't look at a gun again in a long, long time." "I suppose they're afraid my foot won't let me play well enough to do them any good. "I don't blame them for that and I'm willing to take a contract which covers that possibility. In fact, the contracts they sent provided for one salary to start and a larger one if I was still with the Dodgers after a certain date. That's all right, but even with the raise I still wouldn't be getting decent pay. "I don't really care, either, because I'd just as soon play for Milwaukee." He eventually came to terms, and with the agreement in hand, Peck reported to Brooklyn's Spring Training camp in West Point, New York the following spring. Note the trouble Peck had with his shoes in his Dodger tryout. 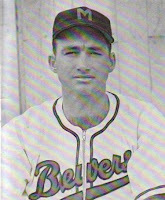 In September 1942, the Brewers sell Peck to Brooklyn for $15,000 and another prospect, infielder Charles L. Brewster. The deal includes an out which must be exercised by May 15, 1943. The Brewers subsequently sell Brewster to the Cincinnati Reds for $7,500. 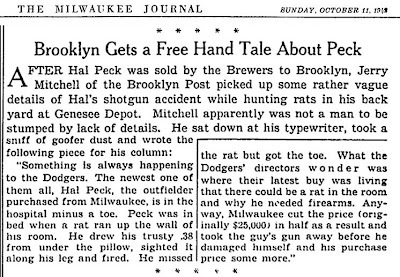 The Dodgers let the May 15 deadline pass before trying to send Peck back to Milwaukee. 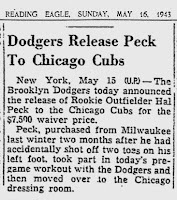 They put Peck on waivers, and Chicago Cubs claim him for $7,500. 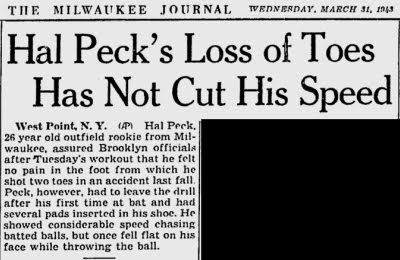 Peck sits out most of the 1943 season recuperating from surgeries on his foot. In August, the Cubs trade him to... the Milwaukee Brewers. The story is even more colorful that that. As it happens, the Cubs were in New York to take on the Bums when they claimed Peck in early 1943. Hal was told about his transfer after the pre-game workout with the Dodgers. He was then handed a set of road grays and moved over to the visiting dugout before the first pitch. He stayed with Chicago until August, when they sent him back to Milwaukee as part of a trade for Brewer second baseman Don "Pep" Johnson. 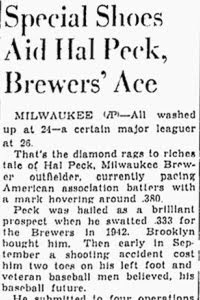 So Hal Peck found himself back in Borchert Field, and the Brewers found themselves with their slugger in the lineup and $22,500 in their bank account. For a team which depended on player sales to stay in the black, this was a significant coup. Peck enjoyed being back at the Orchard, hitting .444 with 15 RBI in the last months of the 1943 season. 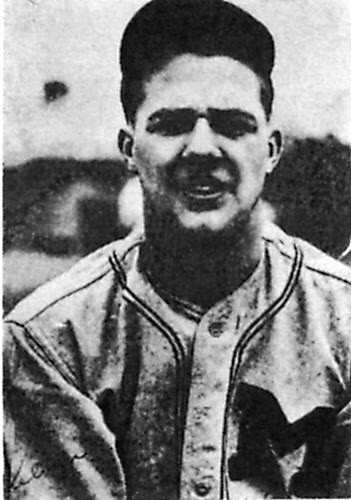 His foot continued to bother him, hindering his work in the field and on the bases, but after a restful off-season, he was eager to return to Borchert Field for the 1944 season. Peck's foot continued to bother him into 1944 Spring Training. But help was on the way, and from a most unlikely source—the stands. When the Brewers opened their first home stand, Walter McGuire, shoe salesman, amateur researcher in foot problems and rabid fan, offered to help Peck. He developed a special shoe pad to ease pressure on the injured foot. That apparently was the answer. Now Peck uses four pair of baseball shoes, alternating them every week, while McGuire adjusts and supplies new pads. McGuire also developed a steet shoe with special supports for Peck. Which brings us back to "Hal Peck Night." Although Veeck was in the Pacific with the Marines at the time, one can't help but wonder if the celebration was at least partly planned to increase his public visibility and show him off to major league clubs. If so, it worked. The Yankees attempted to buy Peck in June, but balked at the Brewers' $40,000 asking price. Undeterred, the Brewers continued to search for a buyer. In August, a deal was struck, and the Philadelphia Athletics bought his contract from the Brewers for four players and an undisclosed amount of cash. And after allowing him to spend the remainder of the American Association season in Milwaukee, he was called up to Shibe Park for the last few weeks of the American League season. 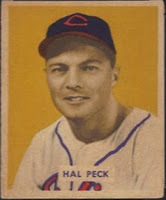 Hal Peck would spend the entire 1945 season in Philadelphia, but returned to Wisconsin to take an off-season job at his father-in-law's dairy farm. When Spring Training rolled around in March 1946, he sent Connie Mack a four-page letter explaining what he saw as his own shortcomings in the prior season, along with a request for a raise. If no raise was forthcoming, Peck wrote, he would be more than happy to return to the Brewers. The Grand Old Man of Baseball, never one to let players set the agenda, shot back: "Stick to your (farm) job." They did eventually come to an agreement (Mack was short on outfielders), and by the end of March Peck reported to the A's camp in Florida. But hard feelings may have lingered; just weeks later, Peck was sold to the Yankees. His career in pinstripes was short-lived, ending in a trade to Cleveland in December 1946. 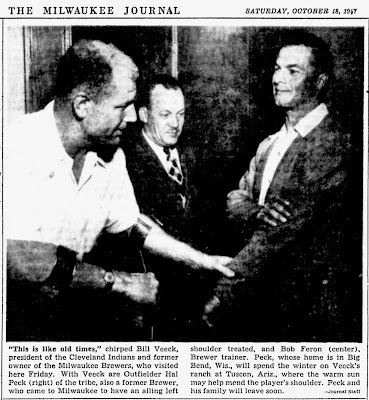 Reunited with Bill Veeck, now the owner of the Tribe, Peck played three years for the Indians. He was a member of the 1948 World Champions squad, although a knee injury limited him to mostly pinch-hitting during the last two years. After the 1949 season, Veeck sold the Indians, and one week later Peck was traded to the Pacific Coast League's Portland Beavers. Rather than head farther away from his home in Wisconsin, Peck retired from baseball. In his 1962 autobiography Veeck as in Wreck, Veeck described Peck as his "good luck charm" and his favorite player out of all the men who played for him. That may or may not have had anything to do with the fact that Veeck was able to sell Hal Peck to big league clubs twice. He passed away on April 13, 1995 at St. Francis Hospital in Milwaukee, just a few miles south of the corner of 8th & Chambers Streets, where he used to stand at Borchert Field's home plate and launch fastballs over the fence. Editor's Note: I am pleased to welcome Dennis Pajot to Borchert Field. Dennis is a longtime baseball researcher and an active member of SABR, both Milwaukee's Ken Keltner chapter and the national group, and we are honored to have him as a contributor. 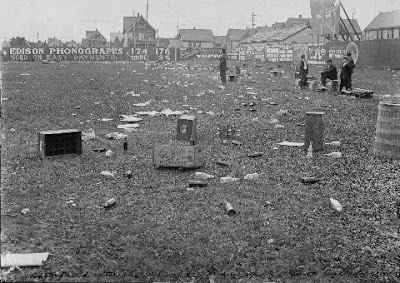 Game aftermath, 1909 (courtesy Milwaukee Public Museum). Unfortunately, the new light green paint might have been “restful to the eye”, but it did not help Brewer hitters. The 1910 Brewers finished in 6th place, with a 76 and 91 record, costing manager John McCloskey his job. Newt Randall again led the regulars in hitting, this year with only a .271 average. No other player appearing in 100 or more games hit over .260. ****1909 and 1910 Brewer statistics taken from “The All-Time Rosters of The Milwaukee Brewers of the American Association, 1902-1952”, edited and published by Rex Hamann. See Rex Hamann’s American Association site for this and other items. On August 8, 1948, the Milwaukee Sentinel ran a special section celebrating Wisconsin's centennial and promoting the Centennial Exposition at the State Fair Grounds in West Allis. Various local establishments from Gimbels to First Wisconsin Bank to Schlitz and beyond ran ads congratulating the state for reaching the century mark and proclaiming their own contributions to the Badger State's history. The Sentinel itself ran a cartoon by Robert LeRoy Ripley (of the famous "Believe It or Not!") touting its accomplishments and those of its former staff, including founder Solomon Juneau (also first mayor of the city) and editor Latham Sholes (builder of the first typewriter). 46 YEARS OF "BREWER GREATS"
46 years of good baseball is a record the Milwaukee Brewers are proud of. They have brought to Milwaukee six American Association pennants and two Little World Series Championships, but that is only part of the story. 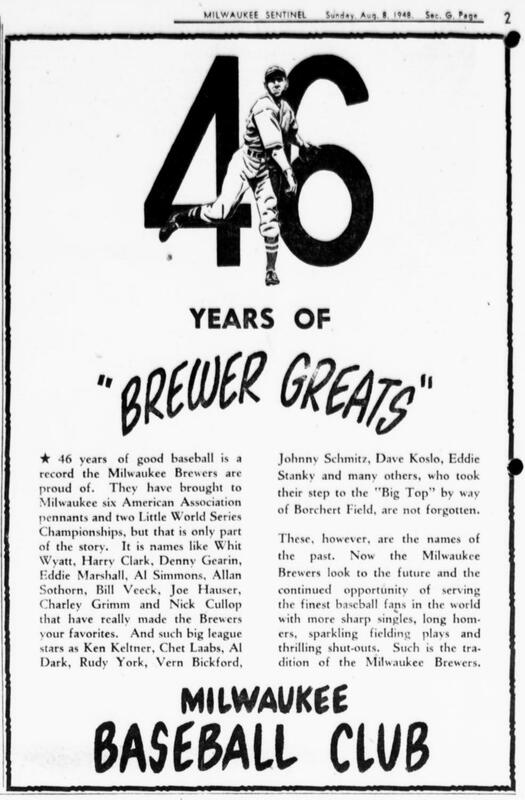 It is names like Whit Wyatt, Harry Clark, Denny Gearin, Eddie Marshall, Al Simmons, Allan Sothoron, Bill Veeck, Joe Hauser, Charley Grimm and Nick Cullop that have really made the Brewers your favorites. 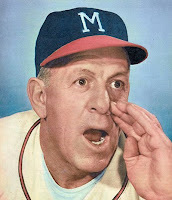 And such big league stars as Ken Keltner, Chet Laabs, Al Dark, Rudy York, Vern Bickford, Johnny Schmitz, Dave Koslo, Eddie Stankey and many others, who took their step to the "Big Top" by way of Borchert Field, are not forgotten. These, however, are the names of the past. 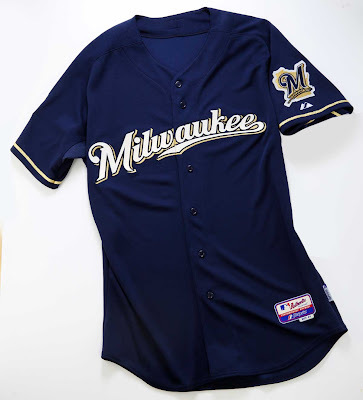 Now the Milwaukee Brewers look to the future and the continued opportunity of serving the finest baseball fans in the world with more sharp singles, long homers, sparkling fielding plays and thrilling shut-outs. Such is the tradition of the Milwaukee Brewers. It's a fascinating look at how the team valued its own history, and what accomplishments they held in high regard. Obviously the championships rank highly (the Brews would add another two pennants and one Little World Series to their trophy cabinet before being displaced by the Braves). 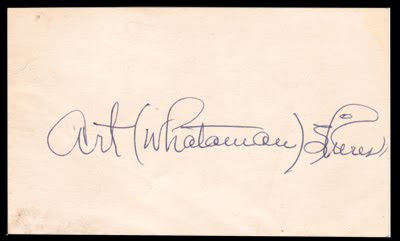 Whit Wyatt was a four time All-Star, a right-hander who pitched for the Brewers in 1938 in between stints with the Cleveland Indians and Brooklyn Dodgers. He would have been well-known by baseball fans in 1946, having been the Opening Day starter for the Bums in 1940 and 1941 and recording Brooklyn's only win in the 1941 World Series. Harry Clark, better known as "Pep", was a longtime Brewer. He came to Milwaukee in 1904 after playing part of the 1903 season on the South Side of Chicago, and instantly found a home at Borchert Field's third base. He took over as player-manager after the 1912 season and performed both roles for the club through 1916, winning pennants in 1913 and 1914. He returned as the Brewers' manager in 1922. Although not quite the double-threat he was in his prime, Clark did take the field in a handful of games in 1922 and 1923 before ending his playing career. He continued to manage the Brewers through 1926. Dennis "Dinty" Gearin had a similar tenure in a Brewer uniform, 1920 through 1931. He was a member of the National League pennant-winning 1923 New York Giants squad. In the Series, Gearing and the Giants fell in six games as Babe Ruth's Yankees claimed their first World Championship. Eddie "Doc" Marshall also pitched for the Giants, following up his major league career with parts of two years in Milwaukee. Al Simmons was a Milwaukee legend, a local boy who went from the Cream City's sandlots to the Major Leagues. He didn't spend much time with the Brews - 1923 and part of 1922 - before his talents were recognized and Connie Mack scooped Simmons up for his Philadelphia Athletics. 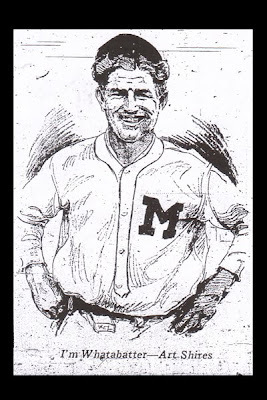 Mack himself was no stranger to Milwaukee, having played and managed for an earlier incarnation of the Brewers from 1897 to 1900. Simmons had an outstanding twenty-year career in the majors, culminating with his election to the Hall of Fame in Cooperstown in 1953. 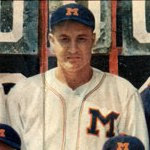 Allen Sothoron was the Milwaukee manager from 1934 through 1938. He had formerly been a pitcher, who spent eleven seasons in the Bigs. Bill Veeck needs no introduction. The "P.T. 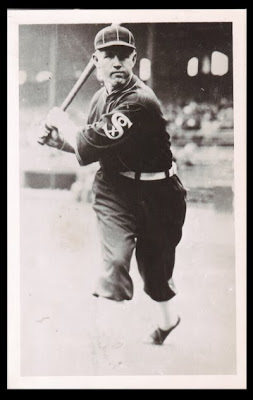 Barnum of Baseball," Sport Shirt Bill got his start in Milwaukee before going on to own the Cleveland Indians, St. Louis Browns and Chicago White Sox (twice). Joe Hauser was another Milwaukee boy made good. He was known as "Unser Choe", ("Our Joe"), as heavily-accented German-born Brewer fans would call him . 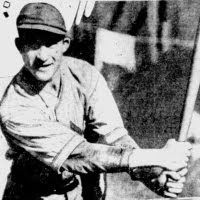 Like Al Simmons, he played two seasons for the Brews (in Joe's case, 1920 & 21) before the Philadelphia Athletics brought him up to the Show. 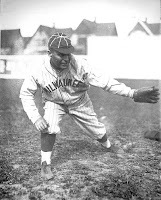 Although his pro career never equalled Simmons', Hauser remained a popular figure in Milwaukee. 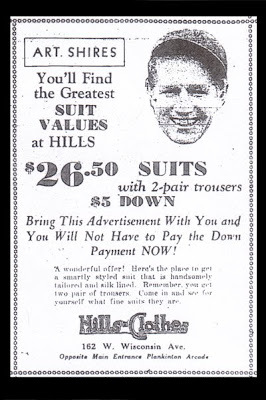 After retiring from baseball in 1943, he owned a sporting goods store in Sheboygan, where he would have been found when this ad was running. 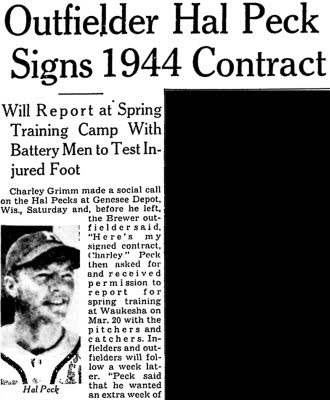 Charlie Grimm (spelled "Charley" here) is a similarly towering figure, although he had a whole lot more Brewer baseball ahead of him when this was published. He had previously been the club's manager under Veeck (as well as a part owner), but left partway through the 1944 season to take over the Chicago Cubs. 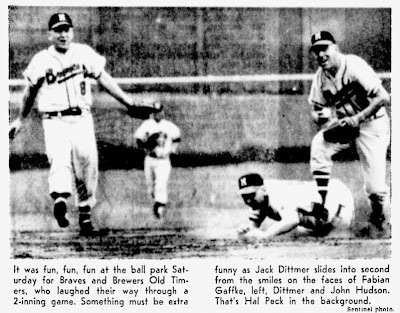 Although the Brews couldn't have known it in 1946, Grimm would return to the club after it was purchased by the Boston Braves and lead it to pennants in 1951 and 1952. He was promoted to the big club just in time to guide it to Milwaukee, and managed Milwaukee's own Braves through the first half of 1956. Nick Cullop's inclusion on this part of the list is interesting. Far from being a "name of the past," he was the club's manager at the time. He held court in the Orchard's dugout for five seasons, from 1945 through 1949. 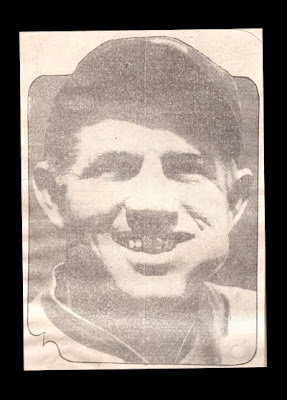 Popularly known as "Tomato Face," Cullop was named "Minor League Manager of the Year" by The Sporting News in 1947 as the skipper of the Brews. Ken Keltner was another product of the Milwaukee sandlots. Born and raised in Bay View, he was part of the 1936 pennant-winning club before being sold to the Cleveland Indians, where he won a World Championship. Keltner is known in part for helping end Joe DiMaggio's 56-game hitting streak in July of 1941, when his defensive gems robbed the Yankee Clipper of two hits. Today, the Wisconsin chapter of SABR is named after him. 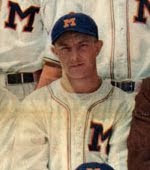 Chet Laabs was another hometown kid, who first played for the Brewers in 1935, and was a breakout star of the 1936 club as they marched to the American Association pennant. Laabs spent eleven seasons in the majors, making the All-Star team once and helping the St. Louis Browns capture the 1944 AL flag. Al Dark only played a single season at Borchert Field, 1947. After 14 games with the Boston Braves in 1946, he was sent to Milwaukee for development (his only stop in the minors). He was wildly successful with the Brews, and was called up to Boston for the 1948 season. 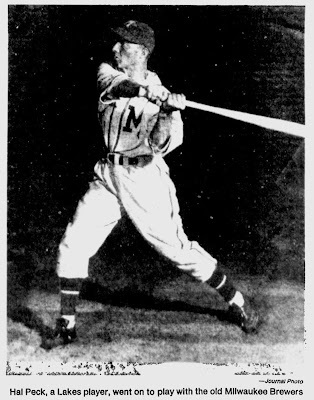 At the time the Sentinel ran this ad, Dark was tearing up the National League on his way to earning 1948 Rookie of the Year honors. He would win a World Series with the Giants in 1954 and make the All-Star team three times. He finished his playing career in Milwaukee with the Braves in 1960. 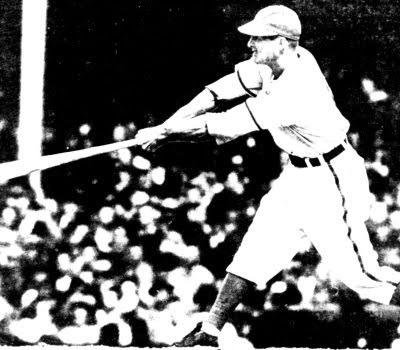 Rudy York was another veteran of the 1936 championship club before moving to the Bigs for eleven years. He was a part of the Detroit Tigers club that won it all in 1945. He struggled in the Series, and was dealt to the Red Sox. While in Boston, York underwent a career renaissance, and two of his seven All-Star selections came after his departure from Detroit. Vern Bickford was another familiar face in Milwaukee, having played with the Brewers in 1947. He was called up to the Braves for the 1948 season, and was one of the former Brews who would "come home" with the Braves when they moved to Milwaukee. 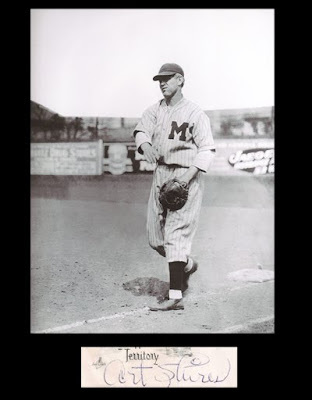 Johnny Schmitz, born in Wausau, was nicknamed "Bear Tracks" for the way he shuffled to the mound. Eight of his thirteen major league seasons were with the Cubs, who acquired him from the Brewers in 1941. He led the NL in strikeouts in 1942, and in 1948 was having the second of his two All-Star seasons. 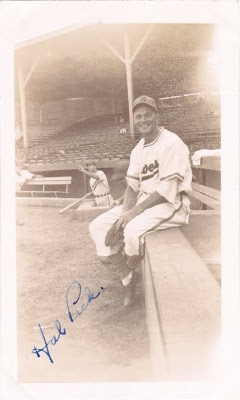 Dave Koslo spent 1941 in Milwaukee on his way to twelve years in the big leagues for the New York Giants, Baltimore Orioles and Milwaukee Braves. He led the National League in ERA in 1949 as a Giant. While not local in the sense of being a Milwaukee boy, he was born and died in Menasha, Wisconsin. Eddie Stanky spent the 1942 season in the Cream City, on his way to a long career in the Bigs, eleven as a player and eight as a manager. Leo Durocher, who managed Stanky as a New York Giant, summed him up this way: "He can't hit, can't run, can't field. He's no nice guy... all the little SOB can do is win." One name is notable for its absence - Casey Stengel, who led the club to a pennant in 1944 and left after one season due to a dispute with Red Smith and Mickey Heath. In August of 1948, Stengel was managing for the Oakland Oaks of the Pacific Coast League and was just months away from the job which would catapult him to the top of baseball's mountain. In twelve years as manager of the New York Yankees, he led the Pinstripers to nine American League pennants and seven World Championships. So there you have it. 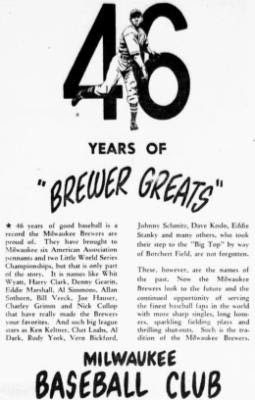 Such is the tradition of the Milwaukee Brewers, as seen by the club in 1948.